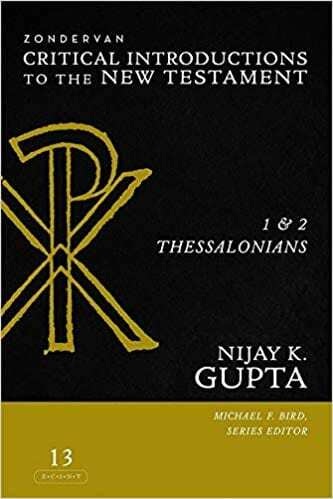 I’m excited to announce the beginning of a new series called the Zondervan Critical Introductions to the New Testament, edited by myself, with the first volume by Nijay Gupta on 1-2 Thesslonians. This series is not a commentary or a theology of each particular book, but is about all the critical and technical issues related to authorship, date, provenance, text, genre, etc. It is the classic Historisch-Kritischen Einteilung for all the dense and detailed stuff that only gets a rudimentary mention in the commentaries. Other volumes are scheduled, including Mark Strauss on the Gospel of Mark, Brian Rosner on 1 Corinthians, Ian Paul on Revelation, Sarah Harris on Luke, and more.